In the process of your investment research, you may have heard of something called the preemptive right of common stockholders on your favorite investment news television program or written in an annual report or 10-K. The preemptive right is a right belonging to existing shareholders of a corporation to avoid involuntary dilution of their ownership stake by giving them the chance to buy a proportional interest of any future issuance of common stock. The anti-dilutive preemptive right has also been called the subscription right or subscription privilege. For the sake of simplicity, what this means is that the right allows you to maintain the same percentage of ownership of the company's common stock by purchasing new shares before the general public. The Terra Firma Coffee Company has 100 shares of stock outstanding. You own 10 of these shares or 10% of the entire company. To raise capital to expand, the Board of Directors decides to sell another 100 shares in the company for $50 each. If the preemptive right did not exist, this would dilute your ownership to 5% (10 shares divided by 200 shares outstanding). You exercise your preemptive right to maintain your proportional interest and agree to buy (or "subscribe") to 10 shares of the new stock. You promptly cut a check for $500 (10 new shares x $50 offering price = $500), and now you own 20 shares out of 200 outstanding; owning the same 10% of the entire company. Now, imagine that five years later The Terra Firma Coffee Company announces a major expansion and plans to issue 1,000 shares of new common stock. 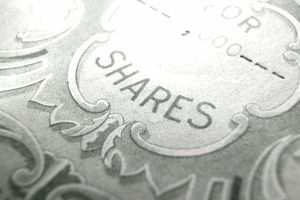 You do not purchase any new shares as part of your preemptive right. When the new shares are issued, because you did not add any new shares to your current position, you will only own 1.67% of the company (20 shares of stock divided by 1,200 shares outstanding). Before the issuance of new stock, your voting rights accounted for 1/10 of the company and held substantial weight. After the new shares were issued, your vote is much smaller in comparison to what it was before. Some companies choose to do away with the preemptive right because it can be inconvenient when attempting to raise cash from equity issuance. It is also a means to avoid certain legal conflicts such as minority shareholder oppression. One example of this is when a company issues new shares of stock at prices lower than what the shares are currently trading, knowing full well that the minority shareholders will not be able to purchase the new shares as part of their preemptive right. The majority shareholder can take advantage of the opportunity to substantially increase his or her ownership position while simultaneously decreasing the minority shareholders' ownership positions.